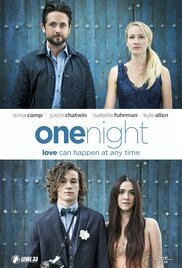 Bea (Isabelle Fuhrman), a worrisome teenager, reconnects with her introverted childhood friend, Andy (Kyle Allen). The two overcome their differences in social status one night after their high school prom. Thirty-something Elizabeth (Anna Camp) which is an older Bea, must decide whether to salvage her relationship with Drew (Justin Chatwin) who is an older Andy, after much personal disappointment. Read more on Wikipedia.